We all know the holiday season is big for both traditional retail stores and eCommerce shops a like. Black Friday, Cyber Monday, and the weeks that follow are some of the biggest sales days of the entire year. It is important to really make the most out of this time of the year. 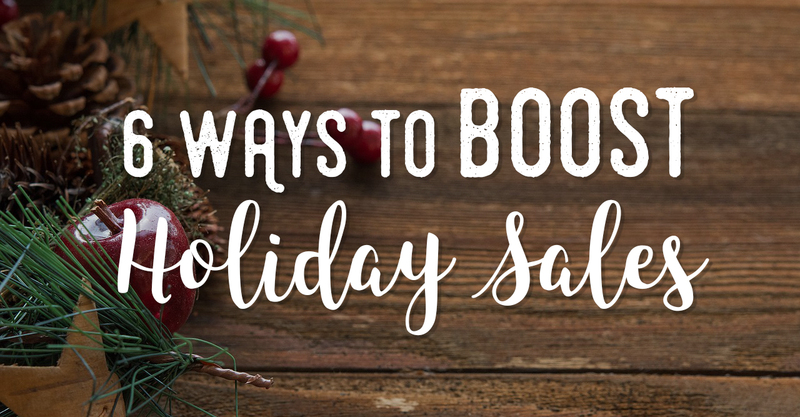 Whether you own a physical storefront, or an online one, the holiday season is full of sales potential. Check out these 6 ways to ensure you make the best of the holiday season. Just because your store is online doesn't mean you can't decorate it! Update your store with a little bit of holiday spirit. Add some holiday cheer to your homepage, create holiday related products, add holiday greetings to your sales confirmations. Get creative! You and your store are unique. Add some Holiday spirit in only the way you know how. Creating a specially curated gift guide for your store can give shoppers a short cut for their gift giving needs. Sometimes all a shopper needs in some inspiration to pick out the perfect present. Create guides specific to your shop, products, and customers. You can create guides for different ages, for men, for women, by price range (15 gifts for her under $15), for fans of specific types of designs you create, for etc. Giving a little something back to your customers can be a great way to boost sales. Offers like free shipping, 15% off, gifts with purchase, and more can be great incentives for people to make a purchase. Black Friday and Cyber Monday are coming up quicker than you think. Do you have anything special for your customers planned? Make sure to promote your special offer across as many platforms as you can! Did you know that 40% of eCommerce transactions take place from a mobile device? That percentage is expected to only grow over over time, and eventually overtake desktop purchases. That is why it is imperative that your store be 100% mobile friendly. If it is hard to purchase your items from a phone, you could be losing out on sales. Make sure to stay active on social media throughout the holiday season. Keep your customers and followers updated about any special offers or events you have going on. Instagram and Pinterest are a great way to showcase visuals. Facebook and Twitter are great for interacting with your customers and keeping people updated on new products and offers. Set the mood and take your store decorating to the next level! If you have holiday specific items, take some time to create some holiday inspired product imagery. You can repurpose these images for newsletters, advertising, and social media too! Having your items shown in a holiday setting can help put your customers in the gift buying mood.